Hamilton isn't always the most beloved character in F1, spending his early seasons comparing himself to Ayrton Senna, whining, and flying around a theater on ropes like he was a Greek god. 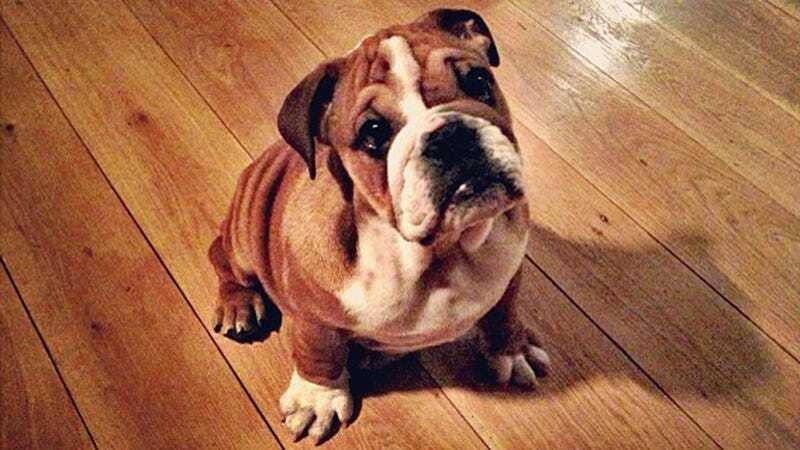 But now that we see his super adorable pooch, we're just dying. Bernie, just hand this man race wins. Just let him win every race this year and the championship in his new slightly crash-ey, sometimes flame-ey Mercedes. Even if Hamilton doesn't deserve it, Roscoe does.